Posted on September 10, 2012 by Ronald Patrick Raab, C.S.C. On Friday, September 10, 1982, I professed vows of poverty, celibacy and obedience forever in the Congregation of Holy Cross. The evening celebration took place at the Basilica of the Sacred Heart at the University of Notre Dame. 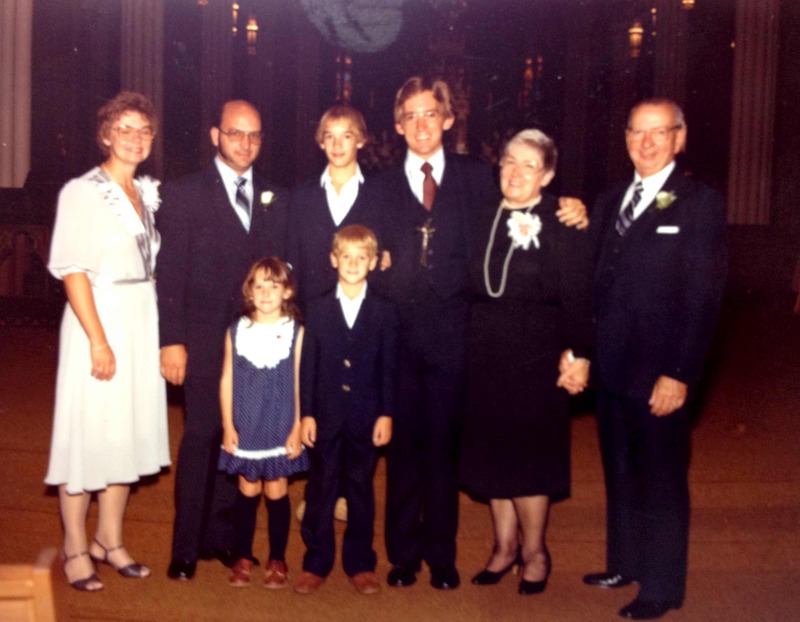 The following day on Saturday, September 11, 1982, I was ordained a deacon by Bishop Richard Hanifen from the Diocese of Colorado Springs, Colorado. That ceremony took place at Moreau Seminary on the campus of Notre Dame, in South Bend, Indiana. I remember with great fondness this story just before my final profession. I am grateful for the days and now the years. I ask your prayer for me and our religious community. You’re definitely not an old-fart priest! 🙂 Congrats on your 30 years!! May Christ continue to bless you and your ministry!!! Congratulations and thank you for your ministry to the broken. I am so grateful for my 32 anniversary of final profession in the Congregation of Holy Cross. 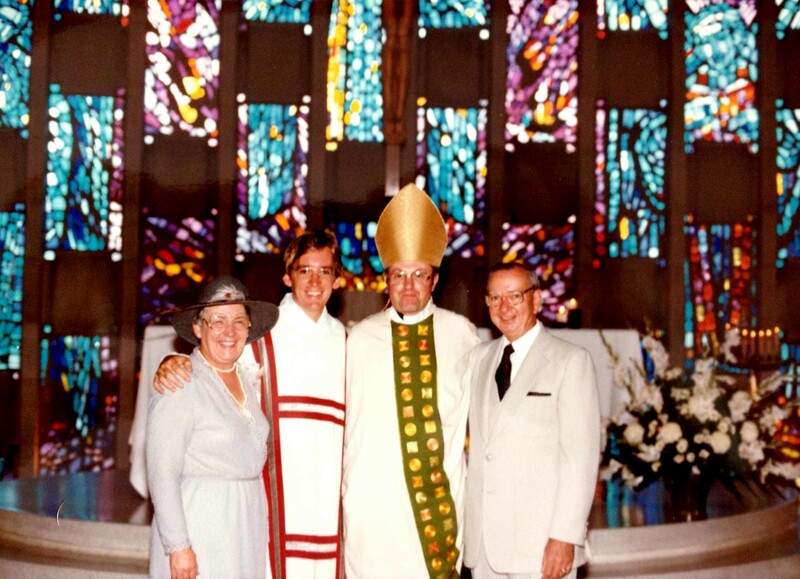 Tomorrow is also the anniversary of my ordination as deacon with Bishop Hanifen, retired bishop of Colorado Springs. I stand in great humility with my classmates, John and Rich this day. With radical gratitude for you, and all you have given and continue to give. Abundant blessings. Ron, congratulations! I join you in prayer today, thanking God for you and your ministry in Holy Cross! Thank you for your years of friendship and support. Today I sang “Blest Are They” at the 12:10 Cathedral liturgy, and “Blest Are We” indeed to have you, Ron!